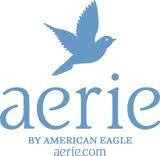 Many of you may have seen the Aerie promotions lately. They are claiming to have a bra that increases your cup by two sizes. Being blessed with babies my whole life, I had to try this. I can honestly say this bra is magical! It works wonders!! Now, if you are already endowed, this might be a little over the top, but for the ladies size A or B, this let’s you live vicariously through your fortunate friends for a day. Added bonus – the quality of these undergarments rivals Victoria’s Secret and other expensive brands.